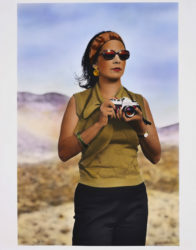 Tracey Moffatt is one of today’s leading international visual artists working in photography, film and video. 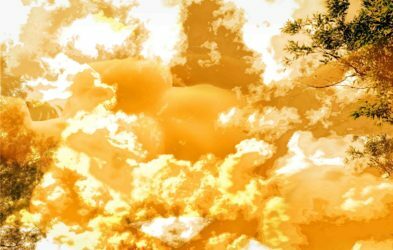 Many of her photographs and short films have achieved iconic status both in her home country of Australia and around the world. Her photographs play with many different printing processes and have a filmic, narrative quality. She approaches all her photographic and video work as a film director, and she is known as a powerful visual storyteller. Moffatt recently represented Australia for the 2017 Venice Biennale, with an exhibition of new work in the Australia Pavilion in the Giardini. 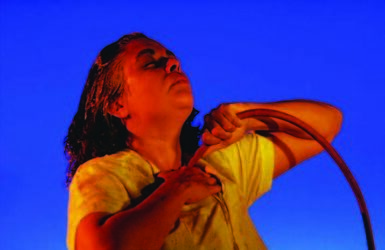 She was the first Australian Indigenous artist to present a solo exhibition in the biennale. Born in Brisbane, Australia, in 1960, Moffatt studied visual communications at the Queensland College of Art, from which she graduated in 1982. Since her first solo exhibition at the Australian Centre for Photography in Sydney in 1989, she has exhibited extensively in museums all over the world. She first gained significant critical acclaim when her short film, Night Cries, was selected for official competition at the 1990 Cannes Film Festival. Her first feature film, beDevil, was also selected for Cannes in 1993. She was selected for the international section of the 1997 Venice Biennale and was also featured in the biennials of Sydney (1993, 1996, 2008), Singapore (2011), São Paulo (1998) and Gwangju (1995). 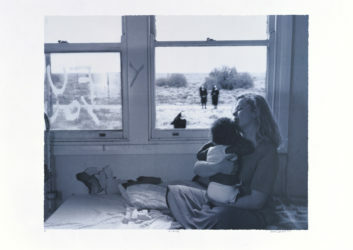 A major exhibition at the Dia Center for the Arts in New York in 1997-98 solidified her international reputation. In 2003, a large retrospective exhibition of Moffatt’s work was held at the Museum of Contemporary Art, Sydney, to record breaking attendances. She had her first retrospective exhibition in Italy, at Spazio Oberdan, Milan, in 2006. Her photographic series, Scarred For Life, was exhibited at the Guggenheim Museum and her video, LOVE, at the Brooklyn Museum, New York, in 2007. Also that year, she was awarded the Infinity Award for art photography, selected by an international panel at the International Center of Photography in New York City. In 2011, Moffatt presented Still and Moving, a solo exhibition at Tyler Rollins Fine Art, featuring her photographic series, Plantation, as well as Other, a new work in her Montages video series inspired by Hollywood films. A retrospective exhibition of her video work was concurrently on view at the Bronx Museum of the Arts, New York. In May 2012, the Museum of Modern Art, New York, presented a comprehensive retrospective of Moffatt’s film and video work, featuring screenings of all her major works and a ten-day series of artist talks at the museum. In 2013, she was honored with the Australia Council Visual Arts Award and was included in the major survey exhibition, Australia, at the Royal Academy, London. Also in 2013, Tyler Rollins Fine Art hosted the US premiere of a major new body of Moffatt’s work in a solo exhibition, entitled Spirit Landscapes. The exhibition comprised five different photographic series and a moving image piece. It represented the artist’s return to highly personal themes relating to family, home, and the land, specifically within the context of her Australian Aboriginal heritage. A key concept was the notion of a “return to country,” a seeking out of one’s ancestral lands and an attempt to reconnect with history and tradition. After many years living abroad, Moffatt began a three year exploration of places in Australia that were scenes of important events in her own life and that of her family. The resulting body of work, her first since the Plantation series of 2009, reflected on the way her personal story is intertwined with the often tragic history of race relations in Australia. Yet, as Moffat pointed out, it can also be “opened up” and read as a universal meditation on the significance of land and place.